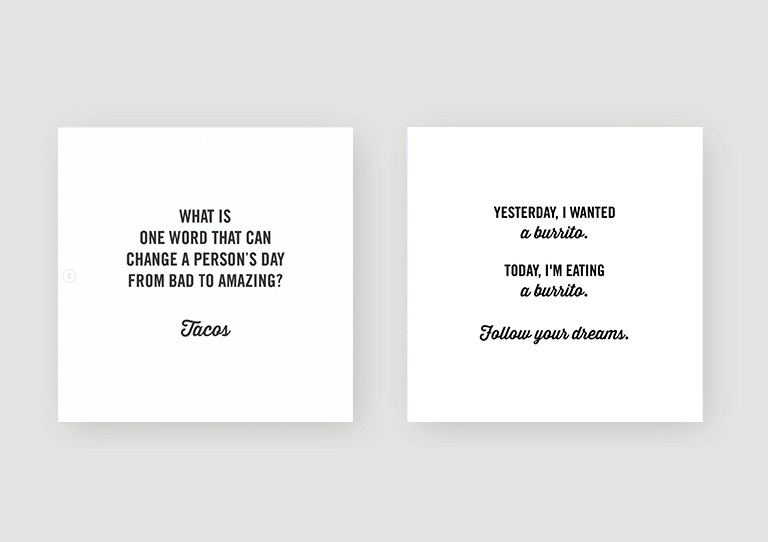 Tortilla serves up classic California-style burritos and tacos inspired by the taquerias in San Fransisco – the self-proclaimed burrito capital of the world. 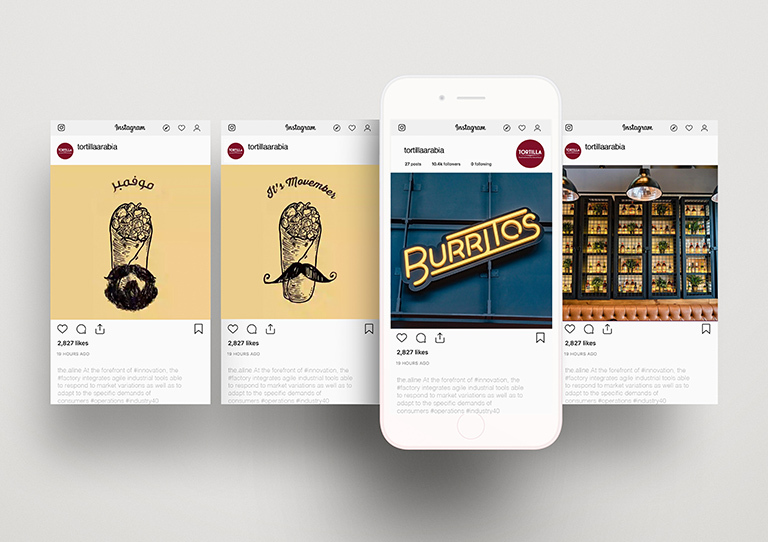 Operating in Dubai, Bahrain and KSA, Tortilla engaged us to manage their social media presence across markets, developing strategy and ongoing content, as well as community management and developing promotional offers for the brand. Looking ahead, we first developed a long-term vision and content calendar for the brand, highlighting key dates, launches and engagement opportunities. 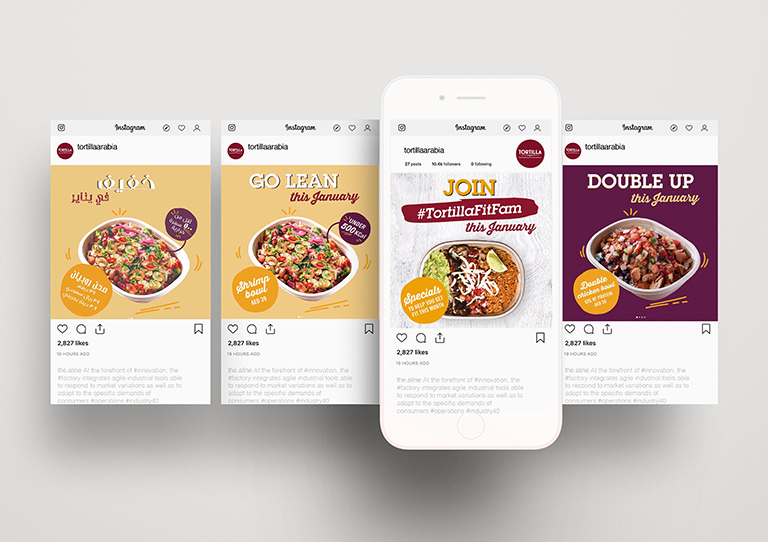 Tortilla’s international brand guidelines paved the way for a visual style and tone fo voice designed to differentiate the brand from its competitors, while building customer loyalty and engagement. 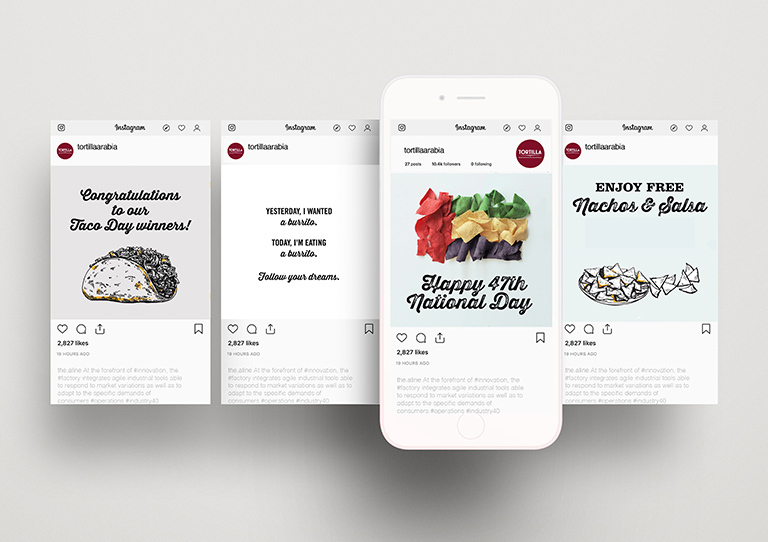 The result is a social presence that remains true to the brand’s core values – one that is quirky, colorful and fun; a brand rich in humor and playful copy.